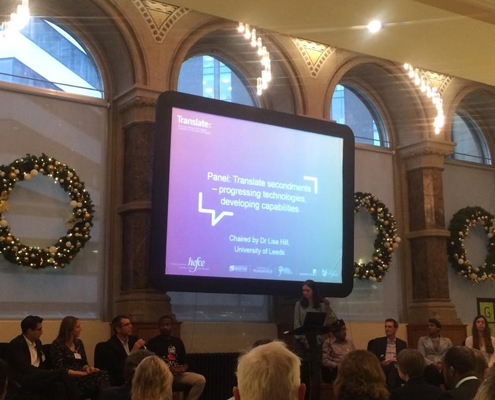 NIHR CYP MedTech attended the Growing MedTech Translation event: a celebration of Translate and the launch of the Grow MedTech funding competition. The event featured presentations and a panel discussion of previous projects (summer students and secondments) that have been funded by Translate. Professor John Fisher from the University of Leeds spoke about the challenges and gaps in the health technology innovation system and the effect of this on collaborations between Universities, Industry, the NHS and Healthcare Services. Professor Fisher also described key opportunities in Medical Health Technology Innovation in the Leeds City region. The first session finished with an informative overview of Translate by Dr Lisa Hill, the Innovation Development Manager. Dr Hill described Translate’s accomplishments between 2015 and 2018 which included numbers of secondments and projects supported, clinicians, academics and companies participating and workshops arranged. Dr Hill also described the future of Translate in 2019-2020 which will include training programmes, mentorship and further secondments with partner organisations. After an interactive networking session and a poster exhibition of Translate summer student projects, the Grow MedTech Launch event was commenced by Dr Josephine Dixon-Hardy, the Director of Medical Technologies Innovation. Dr Dixon-Hardy described the future of technology convergence, the current MedTech innovation environment as well as new opportunities such as multi-disciplinary collaborations and novel technology applications, methods and insights that could impact positively on global health. Dr Dixon-Hardy described the new Grow MedTech funding call and its objectives to grow capacity, engagement and capability in MedTech innovation in the Leeds and Sheffield regions. 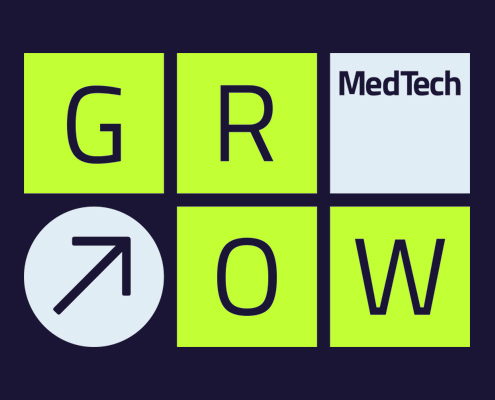 Dr Danielle Miles, a Technology Innovation Manager and Programme Lead, described each of the Grow MedTech bids in more detail and the Communications team gave an update on the website, newsletter and engagement. The final speaker was Dr Victoria Betton, Founder of M-Habitat, who gave invaluable insight into motivating collaboration by using human centered design principles. Dr Betton also described key challenges in the adoption, spread and sustainability of Healthcare Technologies.